Sealing stamps There are 6 products. Official Seal of Hufflepuff Harry Potter. 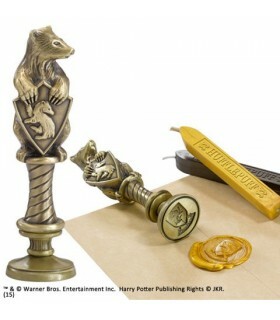 This seal will allow seal their documents with the coat of Hufflepuff. This fact metal and measuring 10 cm high approx. It includes two bars of wax colors and is delivered in a box printed in four colors. Official Seal of Ravenclaw Harry Potter. 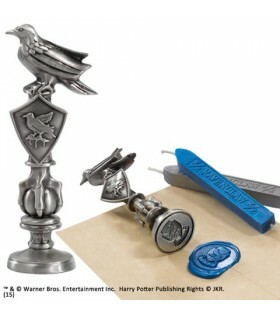 This seal will allow seal their documents with the coat of Ravenclaw. This fact metal and measuring 10 cm high approx. It includes two bars of wax colors and is delivered in a box printed in four colors. Official Seal of Hogwarts Harry Potter. 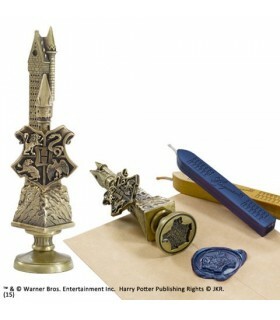 This seal will allow seal their documents with the Hogwarts crest. This fact metal and measuring 10 cm high approx. It includes two bars of wax colors and is delivered in a box printed in four colors. Official Seal of Slytherin Harry Potter. 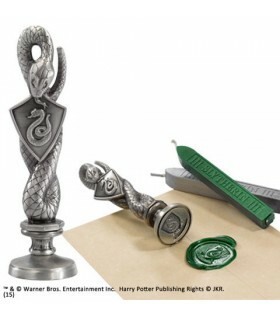 This seal will allow seal their documents with the coat of Slytherin. This fact metal and measuring 10 cm high approx. It includes two bars of wax colors and is delivered in a box printed in four colors. Official Seal of Gryffindor Harry Potter. 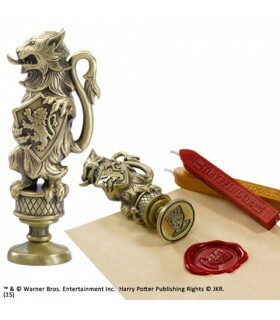 This seal will allow seal their documents with Gryffindor crest. This fact metal and measuring 10 cm high approx. It includes two bars of wax colors and is delivered in a box printed in four colors.